Minc Trading are an Australian online broker who offer a range of services related to the Australian stock market, including option trading, shares, CFDs and warrants. The following Minc Trading review is presented without prejudice. For option traders I would have to say they are worth a look, but with a few reservations. 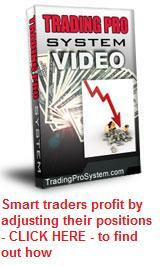 They provide you with free market reports and option strategy recommendations. From what I've seen so far, most of them are quite profitable. They seem to have some partiality for stocks that have moved quickly in one direction for no apparent reason other than market sentiment and are due for a retracement. But they seem to know when to pick 'em and results are very promising. Their online trading brokerage rates are very competitive - currently $24.20 per trade plus $2.42 per contract (usually covering 1,000 shares). You also have the choice of using their full brokerage telephone service which includes general advice for around $85 per trade ... or a simple phone order only order will cost you $50 per leg. They provide you with an online platform which includes an advanced charting service, live option and share prices, market depth, advanced option valuation facilities, ability to place advanced option trades, customisable watchlists and many other features - all for $46.20 per month. There is a free "lite' version but you can't access option prices with it. Good if you're just into share trading or buying warrants though. Minc Trading also provide a free service for option trading strategies, including directional spreads, delta neutral strategies and other things like explaining the "greeks", option payoff diagrams and other basic option information. 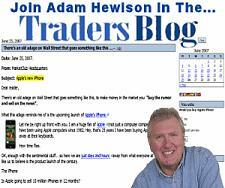 In general, I have found their trading platform excellent and their service very helpful. You may find it takes a while for your account to be established though, due to their requirement for you to establish a "Cash Management" account with Macquarie Equities - and sending them all the identification documents. They are pretty helpful with filling out the forms though - once you apply, they will phone you and do it all for you, then email you the .pdf file. You then need to sign in the right places, attach your 100 points of ID and wait. Unfortunately, Minc Trading only offer either their own trading platform in the form of downloadable software, or if you can't access it, a telephone service which costs almost twice as much to place trades with. They don't have a web based trading platform. 2. Minc Trading's WebIRESS system doesn't have the facility to bid for multiple positions as ONE order. You have to either "leg in" one position at a time, or ring the broker. 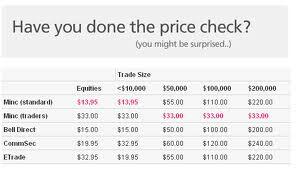 If you ring the broker, they hit you for phone order rates, which are about double the trading platform rates. You also have to keep an eye on what brokerage they charge you - I have seen $75 per leg commissions on some of my spread or straddle trades and had to complain to get them reversed. But coming back to the "legging in" issue ... if the market is volatile at the time you're doing this, you can end up with a position that cost you more than you had planned. It's not a very efficient way to trade, so you're left with ringing the broker as your best option. Makes me remember fondly the OptionsXpress Australia alternative (they don't do Australian shares anymore, only the USA) which allowed you to bid for a spread for the NET amount you wanted to risk. So, in summary ... if your main focus in option trading is to take out simple buy or sell positions and you intend to do this from your home computer where your downloaded software platform will function correctly, or if you intend to use advanced multiple-leg positions with at least 10 contracts per leg and don't mind ringing the broker to enter, then Minc Trading come highly recommended. But if you have a smaller account, the inefficiencies with their trading platform combined with phone order rates you will be charged, make trading more advanced option strategies prohibitive. Trader Dealer offer an online trading platform known as Rapid Trader as well as the WebIress system and their options brokerage fees are very competitive. We and other readers of this information site value your input. You can also (optionally) include any graphics such as charts, if you wish. Do you have some pictures or graphics to add to illustrate your point? Great! Click the button and find the first one on your computer. Select it and click on the button to choose it.